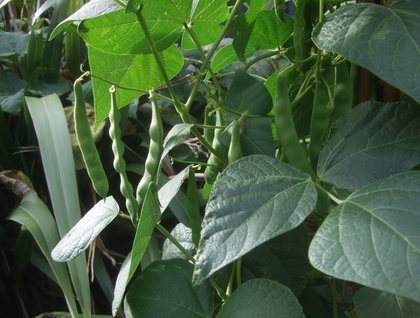 A great all-purpose bean, the Pean or Pea-Bean is named both for its small round beans, that look rather pea-like in their green pods, and its flavour, which has a hint of pea about it. Despite the name and likeness though, it is actually a bean, not a cross. It can be eaten small and green, or shelled-out later fresh, or dried as a tasty winter soup and stew staple. 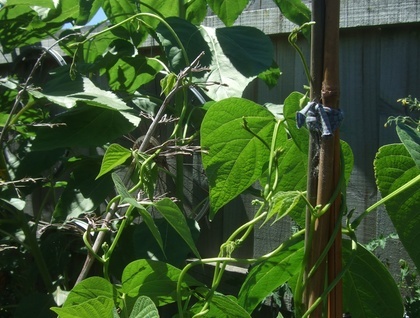 A climber, it’s great for small gardens. It’s a bit slower to develop than many other beans so get it in as early as you’re able. 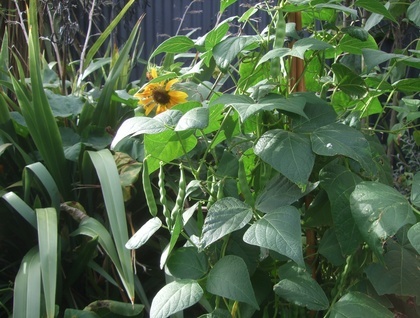 Like most beans, plant in spring when the soil is warming and frosts have passed. 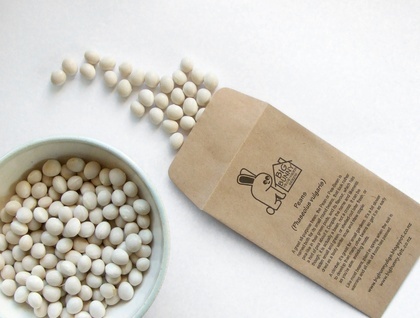 Buy more than one packet of seeds from Big Bunny and they'll all be shipped together for the same low shipping cost. PLEASE NOTE THAT FOR BIOSECURITY REASONS BIG BUNNY DOES NOT SHIP OUTSIDE NEW ZEALAND. Big Bunny is saving more and more varieties of seeds from his garden every season, so keep an eye on his shop! Contact bigbunny to enquire about payment or shipping options.